I refuse to be stereotyped! I have several projects that I have neglected FAR. TOO. LONG. So I decided to tackle one this week. It has taken me several days but I think I finally did it. This is the out-of-control stack of magazines. The cookbooks that had taken up residence on the counter. The cabinet where the recipes need to fit. I forgot to take a photo before I pulled out the magazines. You see, I love to cook and try new recipes. So I like cooking magazines, and recipe books. Is there an addiction to recipes? It's probably just hoarding... I hate to get rid of recipes, because who knows, I might one day try them. So I finally decided that after asking all the rest of my family to de-clutter and let stuff go, it was time to be a big girl and let some of these go. Sniff! I started this collection 17 years ago, shortly before getting married. As I was weeding thru I found lots of recipes I remember trying, liking and losing in the abyss of the collection. So now I can welcome them home! I also found recipes that I know are older than my almost 11 year old daughter, that I have NEVER made! So here is the finished result. My kiddos made the covers of my new binder. Don't you like the way they mis-spelled recipes? I put the magazine pages that I kept in binder sleeves and organized them by category. Someone at a Bible study I go to showed me this over a year ago. 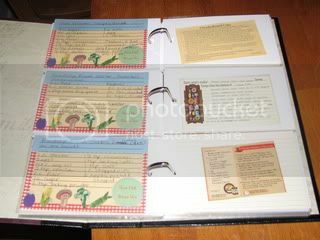 Purchase a photo book that has pockets and slip in the recipe cards you have. I got this one with room for 700 cards at Target for $4.99. My girls are already discussing what recipes they want when I die. Hmmm, should I be worried? Good job on the decluttering. 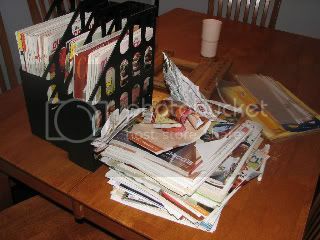 I do something similar with my craft magazines. The only problem is that I always let a huge messy pile build up, and then tackle it, instead of taking care of things as they come along. I love these David & Goliath de-cluttering stories. 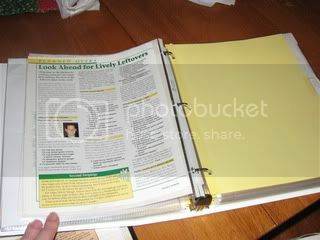 I have been meaning to put my recipes in a binder, but I don't know if I can get rid of my cookbooks. Hi, I found you through SITS...What a task you took on but it turned out awesome! 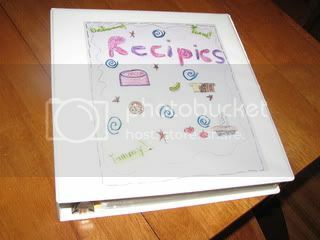 I think your new recipe folder turned out great! I would have had a hard time getting rid of stuff too especially after how long you had been collecting it. Nice job! I have a similar recipe shelf/cupboard/pile. And mmm mmm, I sure love me some reciPIES! Cute! Oh, little lady! You want to see some clutter? I'll show you some clutter. It looks good, by the way. Do you charge by the hour? Great work organizing! 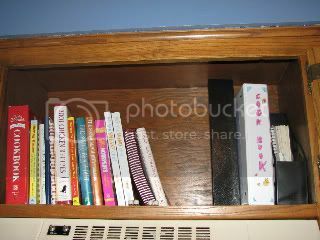 That binder is a wonderful solution to the many many receipes that we have collected. Stoppin by from SITS! Sorry your havin a stormy day, hope it gets better! Desert Greetings my fellow SITS follower. What a wonderful idea for keeping your recipes. I too love to collect recipes, articles that are worth keeping. I just have them in a pile. 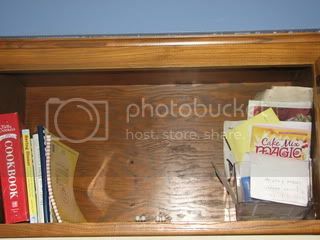 I now plan to use one of my empty photo albums, just as soon as I finish pulling the pictures out and putting them in a scrapbook. Wishing you a scent-sational day! Ahhh, the master cookbook binder. I LOVE, LOVE, LOVE mine. Life got so much easier once I put mine together. 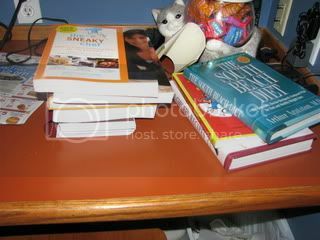 Awesome, I have clutter that is driving me crazy but i have not decided how to organize it yet.